I’ve just looked back at my first quarter finish along post to see what I really need to be working on this month. 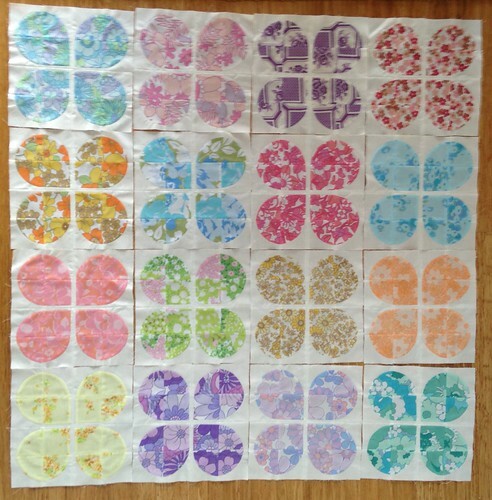 It appears that I need to get a wiggle on with some hexies and the Retro Flowers quilts. 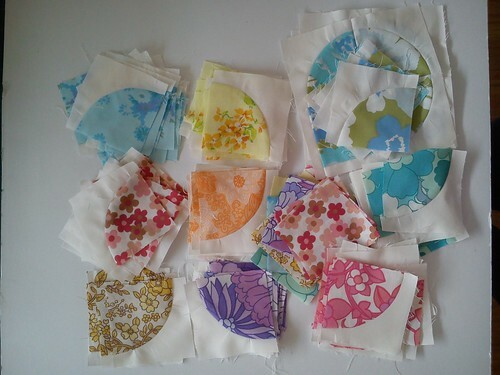 So as a priority and a goal for this month I’m going to try to get my retro flowers quilt finished! The next step is to decide on a layout and get it pieced. I also need to decide on borders and work out whether I actually have enough fabric for them or not! At least March has a few more days in it than February! Your blocks are just super, would love to see the colors in person. Are the fabrics all from one line. How cute are you getting your wiggle on? Mary, these are so so so beautiful! The prints suit the pattern perfectly. You’ll do it, you have a whole month yet 🙂 I’d go without borders, but that is because I am lazy. Your quilt is looking lovely. Such pretty colours. Looks like Spring is coming with that quilt top! Looking forward to seeing how you quilt it! I love what you did with your wiggles! So fun.